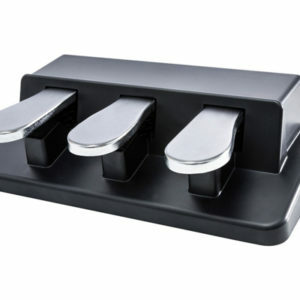 The SP-Triple Keyboard Foot Pedal (Triple) from M-Audio performs all the standard sustain, sostenuto, and damping functions that your performance demands. 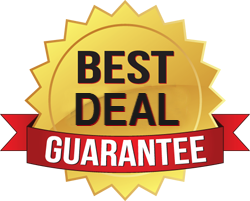 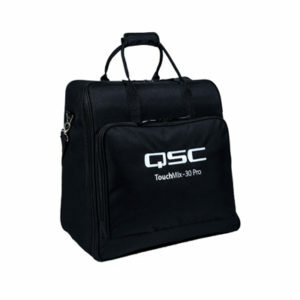 Additionally, it adds the versatility of three independent 0.25″ output cables, which allows you to use the SP-Dual Pedal with any keyboard that has sustain and/or foot controller 0.25″ input jacks. 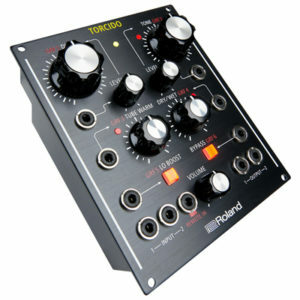 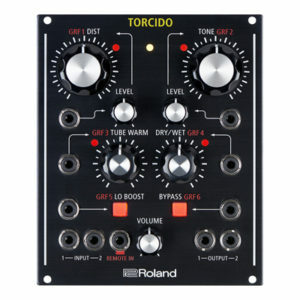 The pedal is assignable to keyboard functions such as patch advance, sequencer stop/start, and modulation effects as you require from a momentary foot controller. 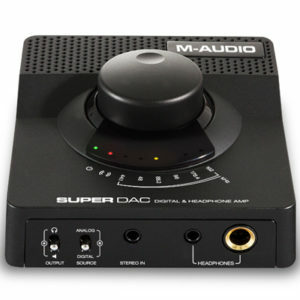 Super DAC is a USB digital to analog converter with stereo RCA analog outputs and both coaxial and optical digital outputs. 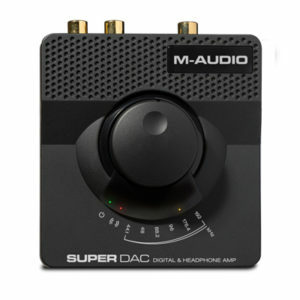 With audiophile-grade Wolfson DAC/ADCs, the M-Audio Super DAC performs 24-bit/192kHz high-definition audio conversion over a USB 2.0 connection. 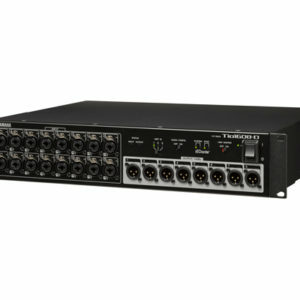 This results in the highest possible audio quality, which is critical for users who want to connect their audio equipment to their computer but are not satisfied with the sound quality of the typical computer sound card or the compression limitations of a Bluetooth connection. 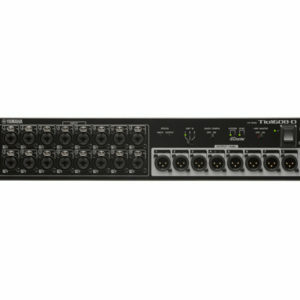 Six sampling rates between 44.1 and 192kHz are user selectable so you can achieve the exact performance level needed for any given circumstance. 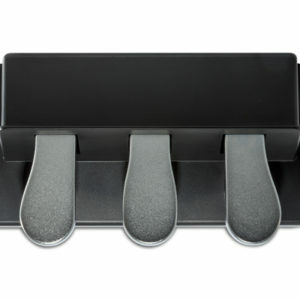 Prevent your drum components from slipping while simultaneously safeguarding your floor from scratches and reducing impact noise/vibration. 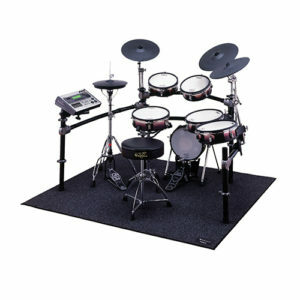 Roland’s new TDM-10 and TDM-20 heavy-duty drum mat is adorned with the Roland V-Drums logo. 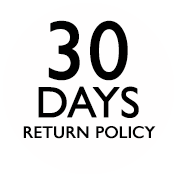 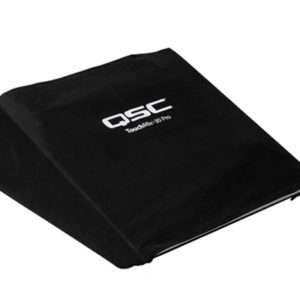 The mat is available in medium (TDM-10) and large (TDM-20) sizes. 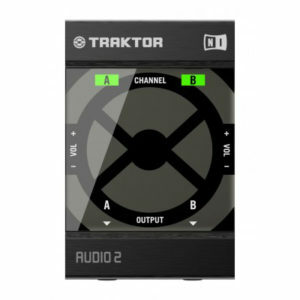 Native Instruments TRAKTOR AUDIO 2 is a DJ interface that can be used with TRAKTOR DJ, TRAKTOR PRO 2 or the included TRAKTOR LE 2 software. 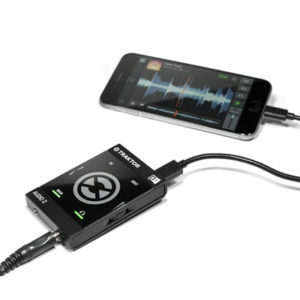 Featuring 24-bit / 48 kHz resolution and a profile slim enough to fit in your pocket, this interface is designed for professional DJing in a highly portable package. 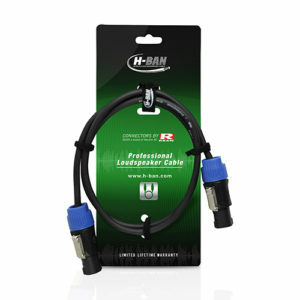 The Native Instruments TRAKTOR DJ Cable is a quality audio splitter for TRAKTOR DJ. 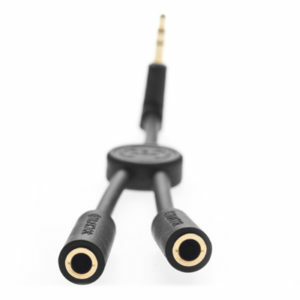 This cable lets you pre-listen to your next track before it hits the audience and keeps you ready for action anywhere, anytime. 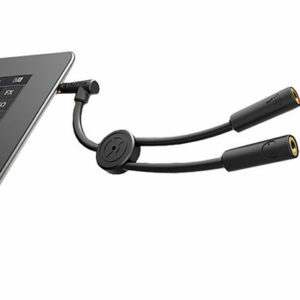 When used with the TRAKTOR DJ or TRAKTOR PRO 2, the TRAKTOR DJ Cable splits the audio from the virtual decks, allowing you to mix like a pro.